» Erel N. Margalit, PhD. Erel N. Margalit, PhD. founded JVP over 24 years ago, and is one of the chief architects of the startup nation, bringing innovation and entrepreneurial leadership to the country’s most pressing political, economic, and social challenges. Erel’s domestic regional initiatives are driven by his visionary economic leadership. He is creating seven regional centers of excellence in the North and South, Israel’s new frontiers, presenting new economic opportunities for innovation, value added jobs and investment that is rooted in regional competitive advantage. 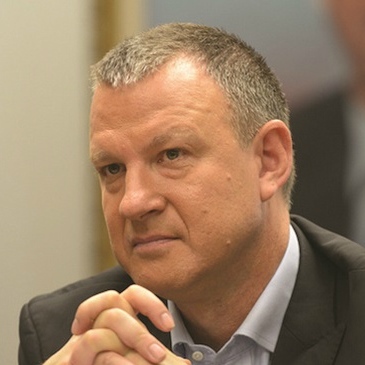 He founded the Media Quarter in Jerusalem and created thousands of jobs in the city; created the Cyber Security epicenter in Be’er-Sheva that gave thousands of opportunities for students and graduates of the Ben Gurion University in the South; and in the process of establishing the Foodtech Quarter in north and the Digital Health Quarter in Haifa.